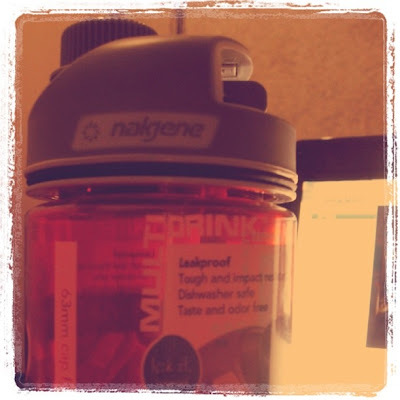 Technically my 3rd Nalgene but I lost my very first bottle (a gift from my friend Kimi) after leaving it on a trike (which I never got back from the driver sniff). My second bottle was given to me by the Cheese as a replacement to the one I've lost. And this new baby here given by my friend Pam as a belated birthday gift via coercion haha. I love Nalgene! It's a must have kit whenever I'm outdoors or on out of towns. I wish I could buy one in every design (and color too) but they're so expensive gosh. But the quality naman aysus, winner!